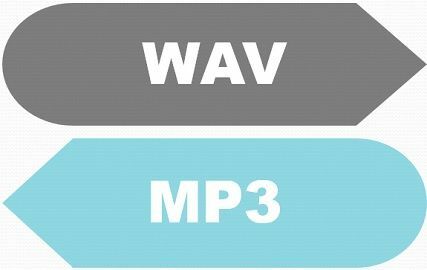 WAV and MP3 are the file formats for storing digital audio. These can be differentiated by the fact that the MP3 is the lossy and compressed type of file where some amount of information from the original audio source is discarded. On the other hand, the WAV format is an uncompressed type of audio file. The size of the WAV file is very much higher than the MP3 file. Basic Implement minimal changes in the original file. Removes the redundant portions of information from the file. WAV is the general container format for the digital audio known as Waveform Audio File Format (WAV or WAVE). It was devised by the joint effort of the Microsoft and IBM. It is comprised of raw uncompressed PCM audio streams. The CD’s and DVD’s were in WAV which means the audio quality stored in CD’s and DVD’s is of good quality. It can also be proved by the situation when a CD is inserted into a windows computer, the track icon will be presented by WAV files. The WAV and AIFF (Audio Interchange File Format) files can be interchanged as these are rival container format and compatible with each other. All the sound editing programs support these uncompressed file formats. In windows system, the sound files exist in the WAV format and reside in the windows\media subdirectory. Start.wav, chimes.wav, chord.wav, logoff.wav are the system event sounds involves in the windows system. MP3 is also an audio file format developed by MPEG (Moving Picture Experts Group) in the year of 1990s and expanded as the most prevalently used technology for saving consumer audio. The algorithm involved in this file format is the lossy type where a large amount of information is stored by consuming less amount of space. For example, an audio CD can contain one hour of uncompressed LPCM sound, when the same CD is recorded using MP3 compression, it can hold at most seven hours of the same music but with slightly degraded quality. The “3” in MP3 describes layer 3 and “MP” stands for the MPEG-1 standard. Although, the MPEG standard actually defines three distinct characteristics of the multimedia such as audio, video and systems. MP3 creates a part of the audio component of the MPEG. MPEG audio establishes three downward compatible layers of audio compression each capable of understanding the layer locating lower to them. The first layer provides high bitrate good quality while as we go to the downward layer, the quality and size both reduces. The last layer among those layers is the MP3 layer which is the most complicated layer and designed to transmit audio over ISDN lines. The audio encoding formats WAV and MP3 mainly differ by the extent of compression and quality. WAV preserves the quality of the audio file by employing negligible changes in the source file. As against, MP3 can produce the smallest size version of the same file in WAV format by removing similar data. By MP3 huge rates of compression can be achieved as compared to WAV. The size of the WAV file is generally higher than that of the MP3 file. MP3 format extremely degrades the audio quality while WAV file remains in good quality. WAV was developed by Microsoft and IBM. On the contrary, MP3 was devised by MPEG and which is a patented format. Among the audio file formats WAV and MP3 the WAV are compatible across various devices as it undergoes minimal alterations from the actual audio signals and also contain the absolute information required to translate an anolog audio to digital format. Conversely, in MP3 format the redundant information is discarded in order to reduce the size of the file at a higher extent.